i can't seem to get back into the swing of writing here, writing and sharing in a more personal way like i used to. it's been all work, work, work, which has been fun and is definitely a huge part of this here blog but i'm having a hard time getting my personal voice back. so what have i been up to? what am i doing? watching mae commando crawl her way around the house, making her lots and lots of pureed fruits and veggies, finding her extra ticklish spots, getting serious with dog training (three years later), perfecting a pattern for baby pants, slowly piecing a custom cot quilt in pink and red and black and grey, sending out lots of orders (thank you!!! ), planning my projects for our crafty weekend in april, thinking about planting my winter garden, taking a breather before jumping right back into making plenty of stock for magnolia square in may, making lots of lists of things to be done and things i want to do and only ever crossing off about 25%. "making lots of lists of things to be done and things i want to do and only ever crossing off about 25%." I am so there with you! I love to make lists, but lately nothing is ever getting done! I'm the same with the lists! Forever adding new things and never getting to the end! matilda is driving me nuts with her commando crawling... she will only go a few inches forward and then cries because she can't get to where she wants to go. but if i keep picking her up and taking her there she's never going to learn! sadie never did crawl... she sat and sat and then walked. at 15 months. It's been the same for me since I became a mother, less time in my head for personal stuff & certainly less items crossed off my to-do lists. 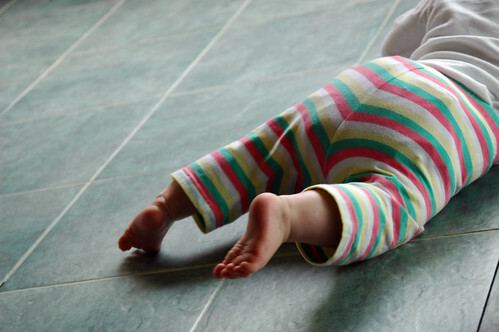 Don't you notice how clean (or in my case NOT clean) your floors are with a commando baby!